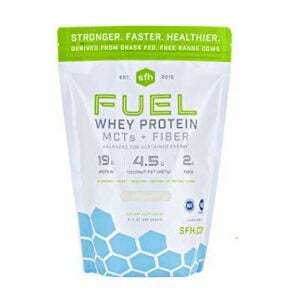 Start your day off right with this protein-packed healthy breakfast smoothie. 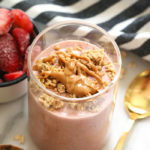 Filled with fruit, oats, protein powder, almond milk and a little hit of peanut butter, this breakfast smoothie of all breakfast smoothies will keep you feeling satisfied til lunch. 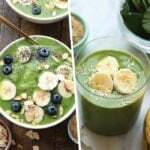 Healthy breakfast smoothies are definitely a morning go-to on Team Fit Foodie, and we have officially dubbed this bad boy The Best Breakfast Smoothie because ummmm it truly is the best ever. 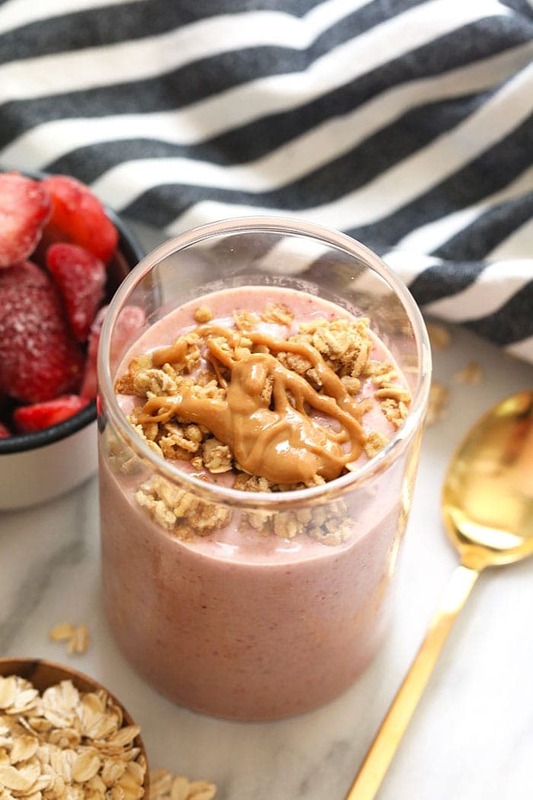 The combination of strawberries and bananas + protein powder + oatmeal + peanut butter is just the perfect mix to kick-start your day. 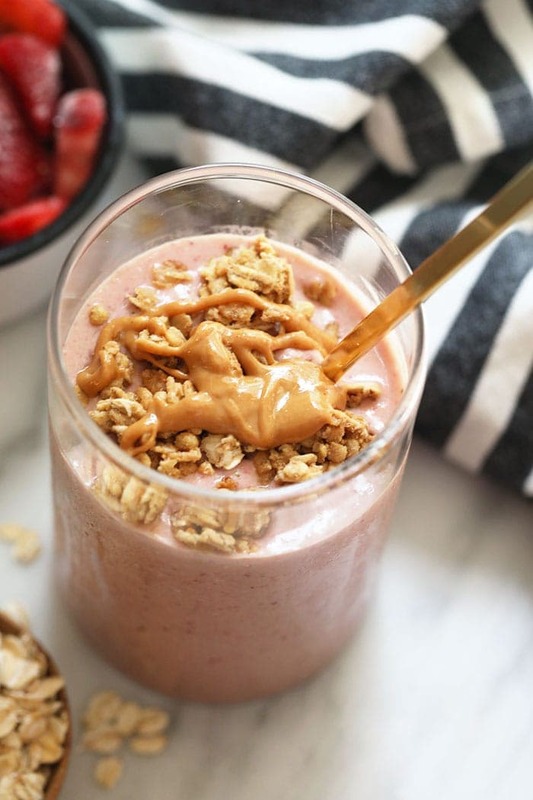 A little peanut butter goes a long way! 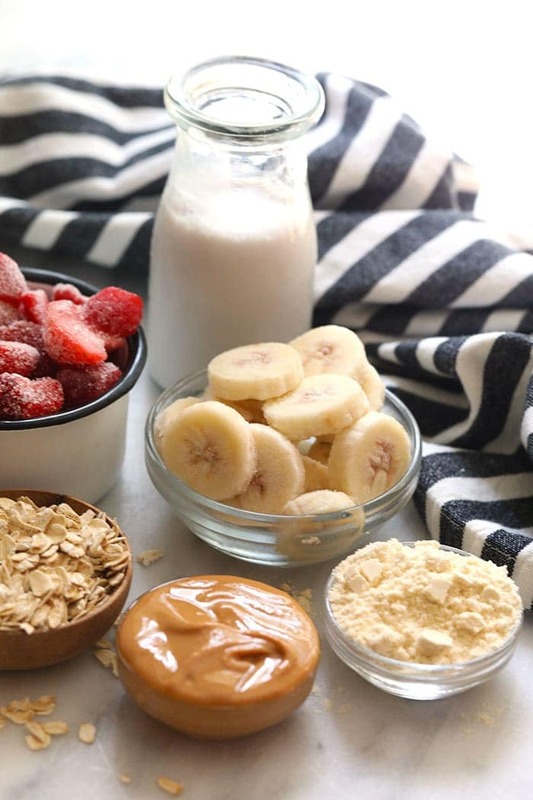 We love having smoothie recipe ingredients on hand, so that whenever the smoothie mood strikes, we’re ready. 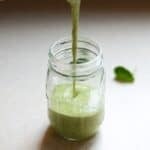 One of the easiest ways to prep for this ahead of time is to cut up your favorite fruit to use in healthy smoothies, and get it in the freezer. 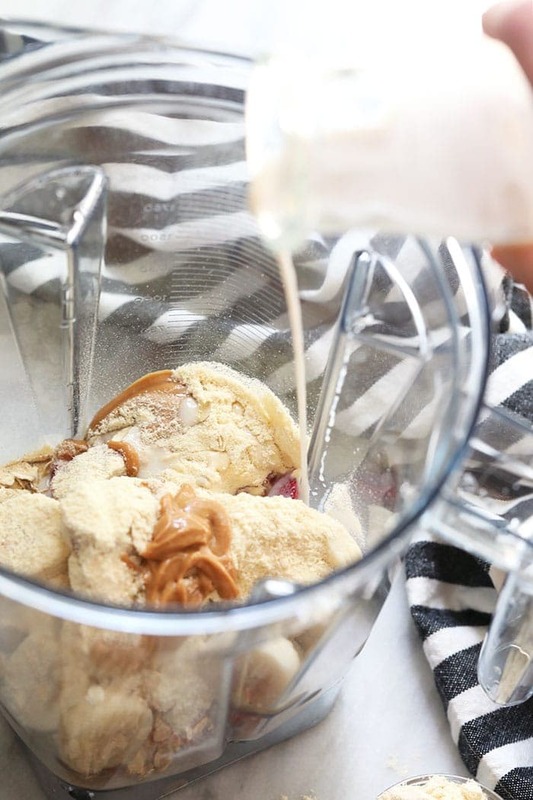 That way, you can grab already sliced fruit from the freezer when you need it and plop it right in your blender. 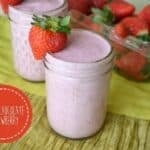 Where are my thick smoothie fans?! 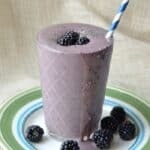 Using already frozen fruit in your smoothies will help give them this delicious texture. 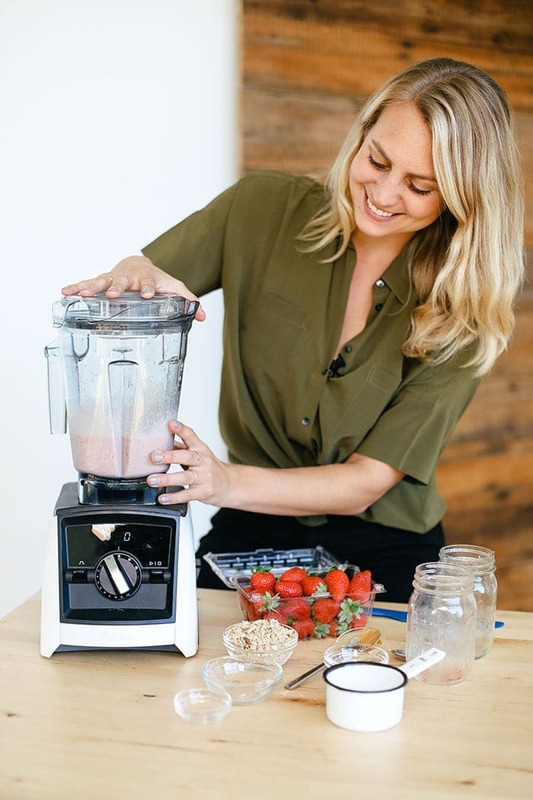 And one of the most important tips to whipping up the perfect smoothie: get your sweet self a quality blender — it’s seriously one of the best kitchen investments we’ve made in the Fit Foodie kitchen. 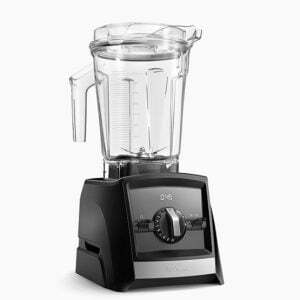 We have a Vitamix, and love it because it acts as a blender, food processor and mixer all in one, basically getting the exact texture we’re looking for every. single. time. 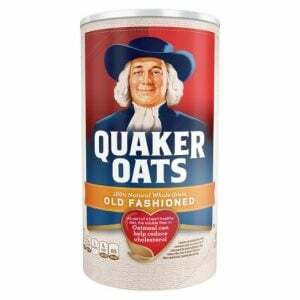 Place everything in the blender and blend until smooth.